Wawa is a very popular chain of convenience stores. Usually you can find them in southern New Jersey and Philadelphia, but they are always expanding. I used to go to Wawa every week for coffee, donuts, milk, and many other things. Convenience stores in Japan are great, but I miss Wawa coffee and snacks. Recently, my mom sent some pictures from a Wawa in my hometown. Looks good, right? Wawa also has some stores with gas stations. They're much, much larger than the average convenience store. It's very easy to stop by, fill up your gas tank, and get your favorite kind of coffee. They're very popular! If you happen to go to the Phildephia area, give Wawa a try. 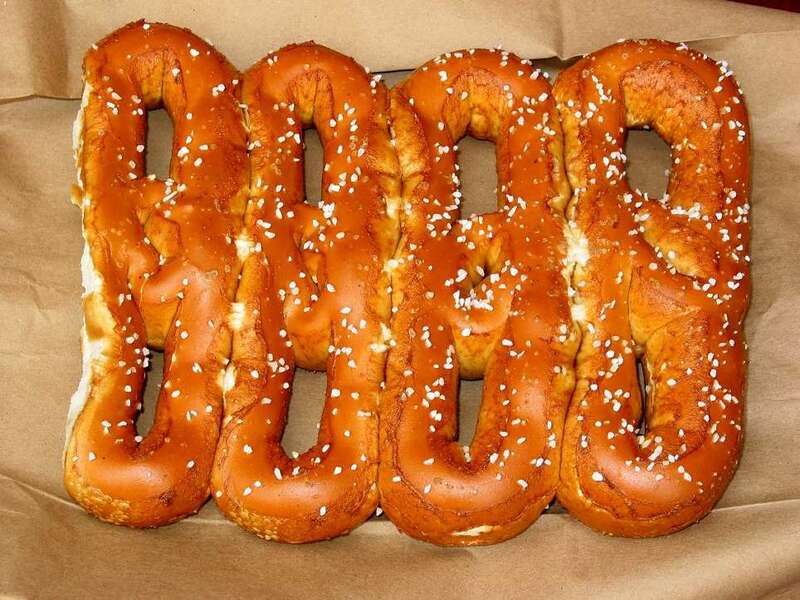 Don't forget to bring back a soft pretzel for me! Dave will be on Radio MOMO this Thursday!